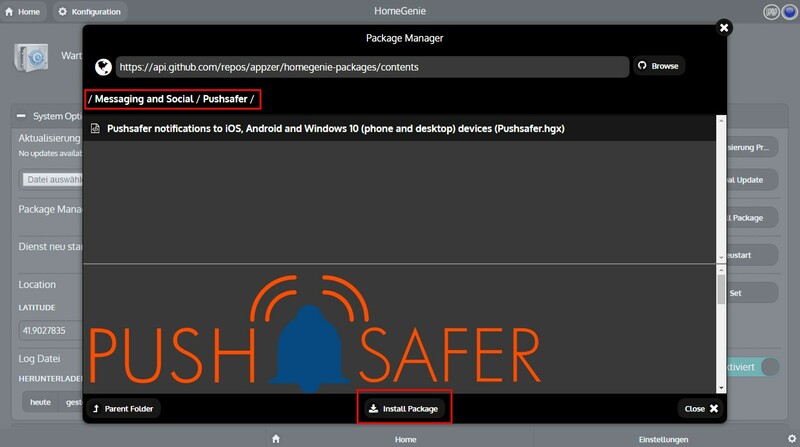 The Pushsafer Notification-Plugin you can download and install by the HomeGenie Package Manager. Open the setting of a module (f.e. 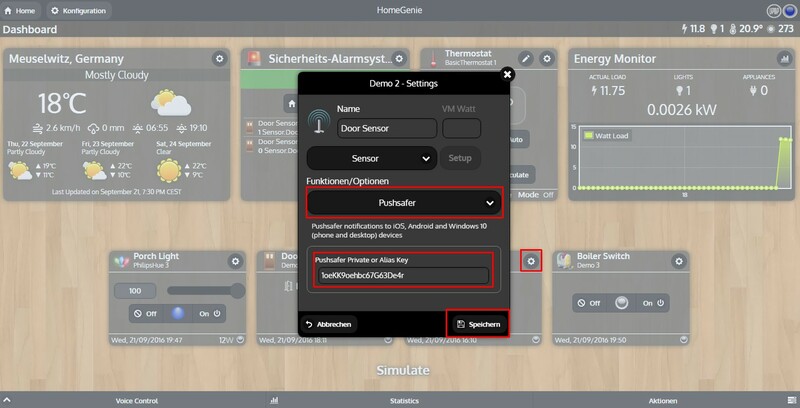 Sensor, Switch), in the function/options dropdown choose the Pushsafer Plugin, finally enter your private or alias key from your pushsafer dashboard and click save.